Looking up at the cockloft. It’s enough space to crawl through, but you can’t even sit up. 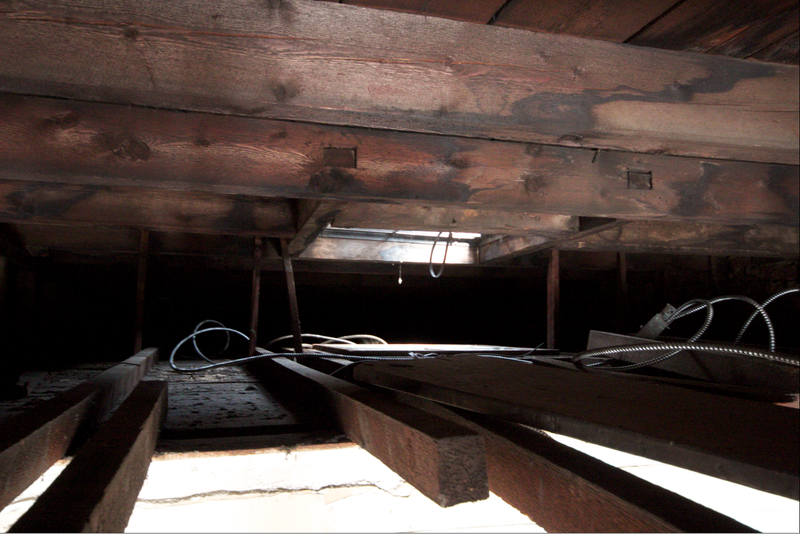 Looking up here, you get to see a bit of how the house is put together – and also where it’s falling apart (sigh). 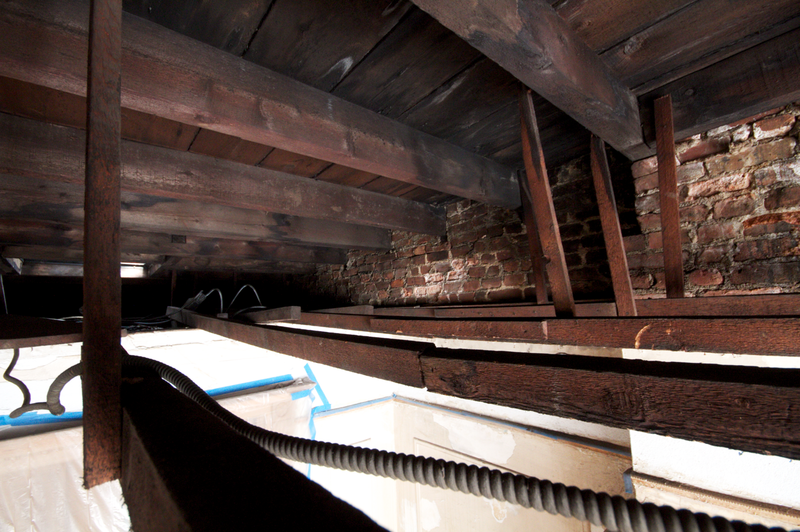 Small strips of wood help stabilize the beams. 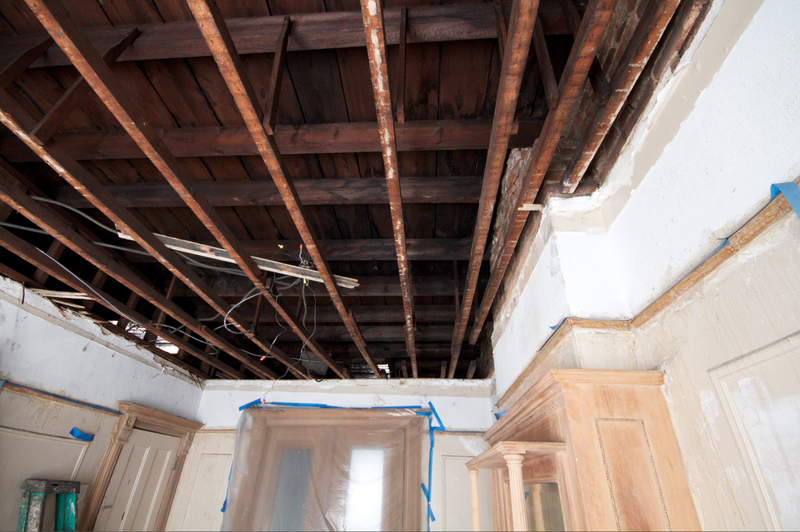 A lot of these were broken, causing the plaster ceiling to sag – or did the ceiling sag because they broke? Chicken or egg type situation. Check out that sweet water damage. We think the water made the plaster heavier, which pulled down on the little supports, which in turn broke. This caused the ceiling to sag and a huge chunk of plaster to fall down. Not an expert, but seems to make sense. The smaller of the two skylights. This is the one in the middle room. It has been partially tarred over, because why not? Ugh! The big skylight over the stairs. It needs a good cleaning. 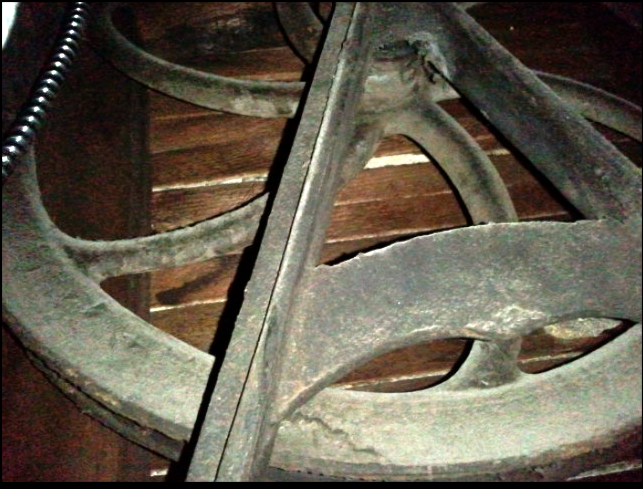 Big wheel mechanism from dumb waiter – a terrible cell phone photo. 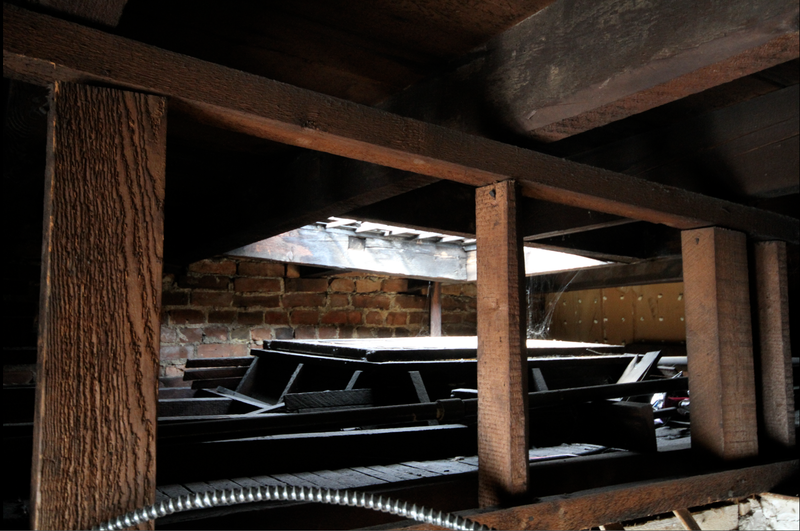 The mechanism for the dumb-waiter appears to be largely intact, although the dumb-waiter car is long gone, and the shaft is currently being used as closet space on some of the floors. Maybe some day we may restore it, but it is super low on the list of priorities. Do you still have the dumbwaiter mechanism, and is it operational. Yes, it’s still up there, but the ropes and the car are long gone. We have been debating on whether to restore it or use the space for something else.